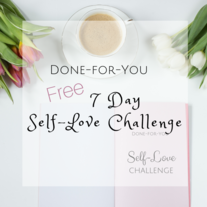 Give your tribe this FREE 7 Day Self-Love Challenge and edit it with your name and logo! Great to send to your email list, post on social media, or post in your Facebook group to keep your audience motivated! 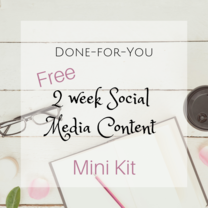 Get that Facebook Group active with this FREE Done-for-You Mini Content Kit and save a TON of time! Coming up with Facebook group, fan page, email and blog content on a regular basis can be FRUSTRATING and TIME CONSUMING. 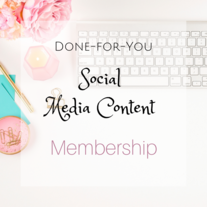 Give yourself more FREEDOM with this monthly content kit you AND your tribe will love!